After a long day of wearing makeup, the first thing I like to do is take of my makeup. For a regular makeup I love using Avon Nutra Effects Micellar Water, it is very mild, have no smell and perfectly removes regular foundation and mascara. One of my favorite oil free products, that removes makeup is Balea Eye Makeup Remover and you can read my full review on this remover here. On days, when I apply waterproof makeup, I remove it with a help of a Pure Apricot Oil, it gently removes weatherproof mascara and eye pencils and cares about the skin. The next step in my bedtime beauty routine is shower. There is nothing better, than a warm shower with essential oils after a long day of blogging. I like to apply an essential lavender, sandal or eucalyptus oil directly on my skin and allow the heat of water to release the aromatic vapors. Such simple home spa helps me to relax and forget about the stressful day. In the shower I clean my face once again with Balea Refreshing Cleansing Gel and a soft 100% Pure Konjak Angel Cloth. After the shower and peeling procedures I like to apply body lotion Hidramais Shea Butter and for my face I use Super Aqua Cell Renew Snail Cream by Missha or Stemology Cell Renew Overnight Moisturizer. Both of this creams deeply hydrate my dry skin and doesn't live an awful oily residue. 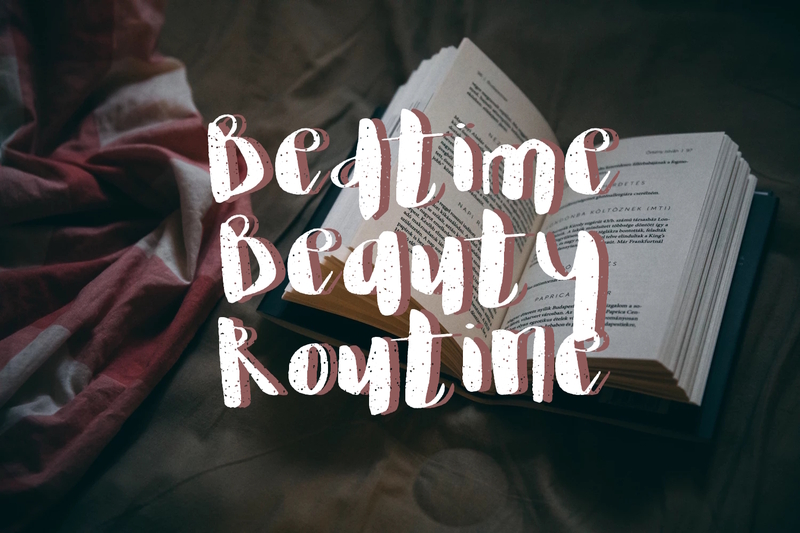 To help moisturizer absorb faster and deeper in to my skin I love using a Pore Smasher by Banish and this is my favorite part of the bedtime beauty routine, I can massage my face with this roler a very long time, because it is so soothing and relaxing! Time to time I use facial masks to deeply cleanse or moisturize my skin, but most of the time I forget about this crucial step. My all time favorite skin moisturizing is a DIY Avocado mask, you can check out my recipe here. Next step is Laneige Lip Sleeping Mask (review here), because it is the only thing that helps me to moisturize my dry lips. I like to apply a thin layer of the mask right before I go to sleep.